Home | Competitions | Oi! Win a $500 summer staycation and book pack! 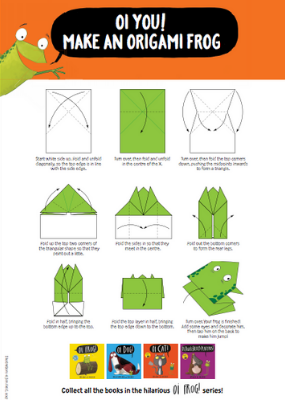 Pack some giggles into your summer holiday with Oi Frog and friends! 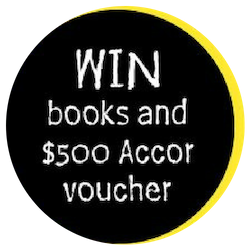 Hachette Children’s Books Australia are giving you the chance to win a $500 staycation as well as an Oi! book pack! The laughter never ends with Oi! Frog and friends! Jam-packed with animals and silliness – this series from the bestselling, multi-award-winning duo Kes Gray and Jim Field will fill your holiday with fun! Oi! 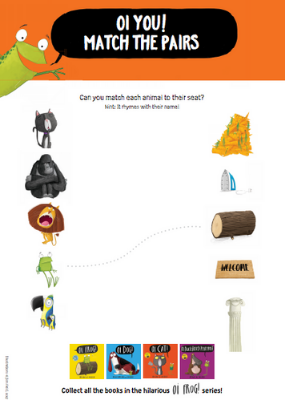 Where are duck-billed platypuses meant to sit? 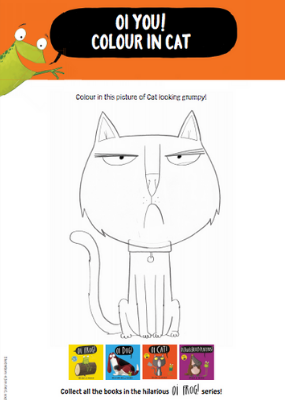 And Kookaburras and hippopotamuses and all the other animals with impossible to rhyme with names… Over to you Frog! Don’t miss the new book in the series, Oi Duck-Billed Platypus – out now. 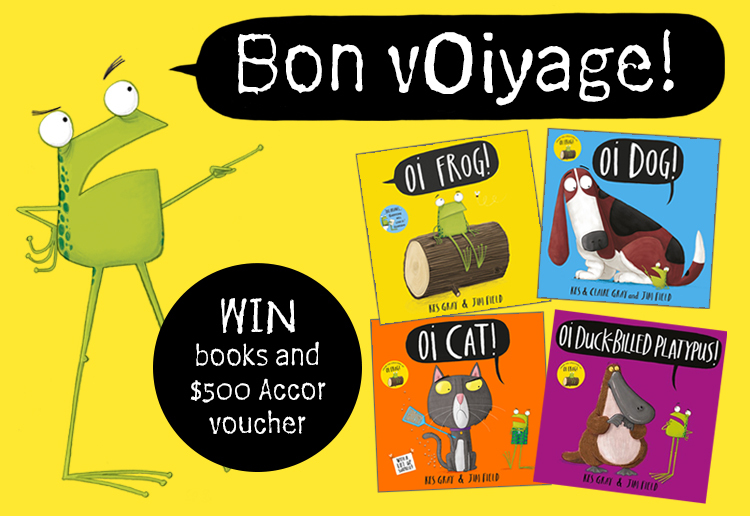 Enter today to WIN a $500 Accor voucher to use for your Staycation and copy of Oi Frog!, Oi Dog!, Oi Cat! and Oi Duck-Billed Platypus! by Kes Gray and Jim Field. Please note this competition is open from 1 December 2018 until 16 December 2018 and is only available to members of Mouths Of Mums. This competition is a game of skill – answer in 50 words or less. We are unable to accept entries posted via facebook. Facebook LIKE functionality is not a requirement of entry to this competition. The winners of this competition will be published on this page. Winners’ name and address will be provided to the promoter of this competition and prizes will be sent to the address you have in Your Profile. Please ensure your details are up to date so that you receive your prize. A meerkat. What kid (or adult) doesn’t love a meerkat! They are super cute, inquisitive and full of character which makes them irresistible to love. A smiling OI Quokka sitting on a locker, maybe a flock-a-sheep, or something sillier would be easier! A moth sitting on a trough. OI Echinda would be the best! Spikey tales always outshine the rest. A sloth because my son totally loves them. The porpoise as ‘Oi Porpoise’ looks and sounds great. All family members could join in the fun using their voices to make some noises whilst reading about the small-toothed whales, the relatives of the oceanic dolphins. ‘Oi Porpoise! a horse because it can rhyme with so many things of course! 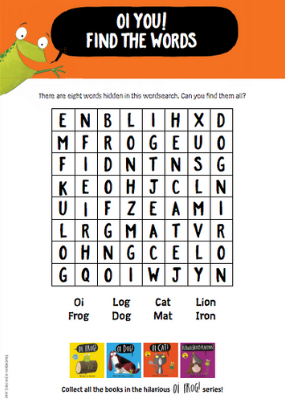 We are a family of bookworms and animal lovers, this pack would be pefect for us and we would love to hear more about our favourite animal – the potoroo! I would choose a termite and make a whole OI book about creepy crawlies. Oi Termite, sit on a sprite, or maybe Oi Termite, start drinking sprite. Spiders could drink Spiders. I like this idea. Can’t wait to read this book! Alpacca! We have an alpacca obsession in this house! A giraffe, we’re big fans on them in our house hold, they just beautiful, but quite lanky at the same time!